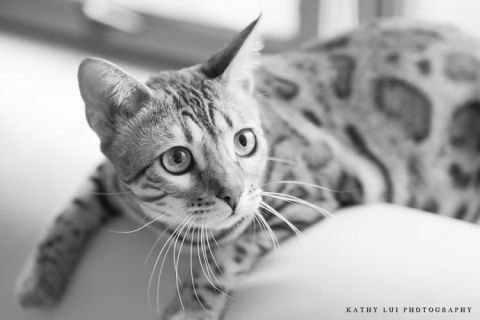 When Gucci’s mom contacted me about having a photo session for her Bengal kitty, I have to admit, I was quite ecstatic. 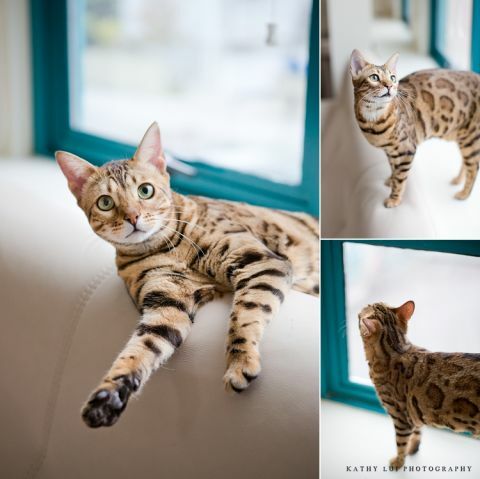 As a cat lover, I have always loved how exotic Bengals look with their wild markings. It’s like having a wild animal in the house, but tamed down to be a pet. Of course, that couldn’t be further from the truth, and especially not for Gucci. She is a sweet, exquisite, and active girl who lives with her canine Bull Terrier brother named Rocky. He will be featured here next, but meanwhile, enjoy these photos of Gucci! 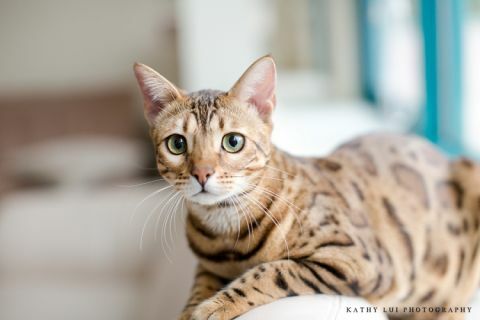 Look at the beautiful markings!